When it comes to major sake brewing regions, there are a few that come to mind quicker than others. 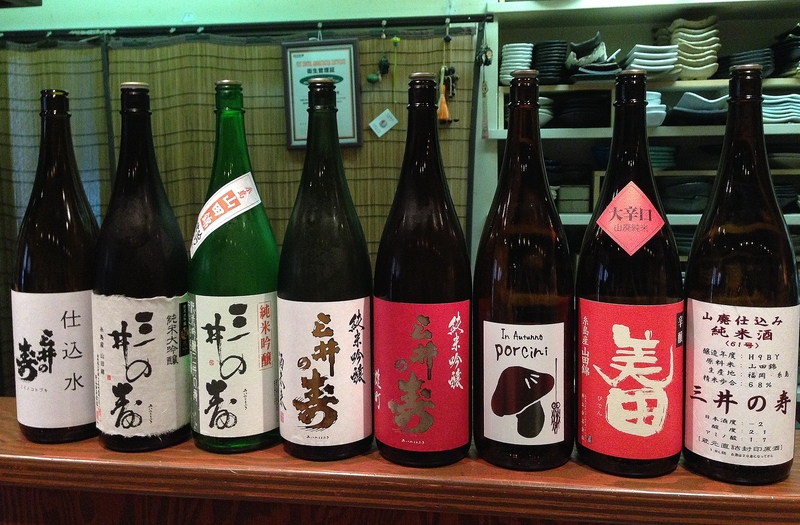 Nada in Hyogo and Kyoto are obvious for their production of most of the sake in the country. Other areas such as Niigata, Akita, Hiroshima among others are know for their strong sake culture and abundance of breweries. But head south to the island of Kyushu and most will comment that sake’s distilled cousin shochu is king with nihonshu nought but an afterthought. But it just aint so. At the northern tip of Kyushu, Fukuoka is home to some 80 breweries placing it as the fifth largest home to sake breweries in the country. While shochu may reign supreme in Kagoshima (home to one lonely producer of nihonshu) the rest of the island is most definitely on board the sake train. Among many favorites in the south, Miinokotobuki in Fukuoka are a brewery turning some heads all around town. Arguably most famous as one of the pioneers of the wine yeast trend there is actually much more to this fascinating brewery. These days run by the brothers Inoue, Miinokotobuki have taken the family brewery and pushed themselves into the consciousness of the sake industry with their complex sake and simple strategies. Production sees them producing 800 koku per year yet they have no website nor sales team on the road. Inoue-san sticks to his father’s mantra that “if the sake is good, that’s your salesman”. And it’s working well. The brothers took over brewing from their previous toji around 13 years ago. The original toji had retired due to a stroke and a new well-established toji was brought in to take over. However while Miinokotobuki was known for light easy drinking sake, the change in toji saw the sake also change into a hard, broader style. Sales dropped and so did morale. Wajoryoshu 和醸良酒is an expression used roughly meaning a harmonious environment will produce good sake. With a new team of kurabito, a new toji and lagging sales something needed to be done. Elder brother Tadatsugu began visiting his friends’ breweries, picking up as many tips as he could on brewing before having a stab himself at brewing the type of sake Miinokotobuki were originally known for. The result was undeniably successful leading to an awkward but amicable split with the toji at the time. Interestingly, these days the brothers divide responsibilities with Tadatsugu-san in charge of koji and the moromi and yeast cultivation and younger brother Kojiro-san in charge of rice prep (washing, steaming etc) and the moto (including their yamahai production). They each work to their strengths acknowledging that neither is as good as the other at their respective roles. 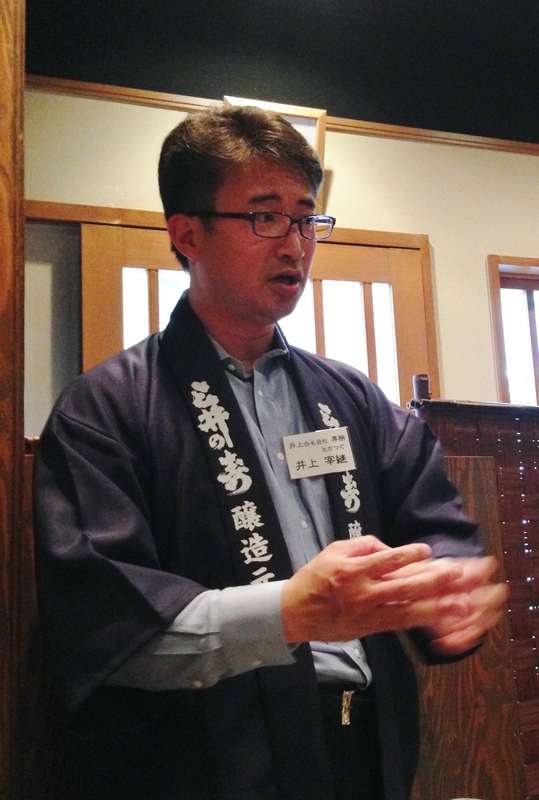 Inoue-san describes his sake as national as opposed to regional. With their immaculate soft water sourced from the three wells in town (after which the brewery is named) and Inoue-san’s passionate approach to yeast cultivation they have definitely found something their own. After experimenting with different yeasts Inoue-san realized the exciting possibilities that exist in blending yeasts. It was this discovery that lead him down the path to producing their own original yeast with which most of their sake is produced. Named MI3 (there was a M1 and M2) after the Mission Impossible movies, the yeast provides a very pretty floral nose with hints of apple and stone fruits. However unlike some other breweries that also use the same yeast for all their sake, the yeast aromas don’t become an ad nauseum common denominator in their range. It was also this experimentation with yeasts that brought about their successful experiment with wine yeast. Inoue-san reasoned that it was the acid in wine that lent itself so well to food matches therefore a wine yeast with a higher acidity could produce a similar profile in sake. The result was a wildly popular junmai ginjo with white wine-like sharp phenolics that would undoubtedly confuse many in a blind tasting however the mouth feel, despite the acidity is all sake. In the often hit and miss world of sake made with wine yeast, Miinokotobuki have nailed it. It was at a recent lunch at the lovely Rakuen in Tenma where I was fortunate enough to be taken through a selection of some of Miinokotobuki’s finer brews and plenty of anecdotes from Inoue-san, a most affable host. While I’m not usually swayed by awards or medals, the opportunity to try their 13 time gold medal (at the National New Sake Appraisals held annually) grabbing daiginjo was something of a treat. Usually these daiginjo tend to be somewhat over the top and gaudy but the example shown was exquisite with delicate florals, aniseed, impeccable balance and a tight short finish. In the case of many breweries, a very small batch is brewed purely for the contest and when a medal is achieved the brewery continues selling their regular daiginjo advertising their gold medal achievement at the New Sake Appraisals, neglecting to mention that it wasn’t actually the daiginjo you’re looking at that won the medal. A practice I’m not a fan of at all. However the daiginjo you buy from Miinokotobuki is in fact the same sake that has earned them their medals. True, the sake submitted is from the middle part of the pressing (nakadori) but at least it’s still the same batch. The junmai ginjo was gorgeous and plush and ever so slightly sweet with very low acid allowing it to melt on the palate. Fleshy and moreish and made with a little known rice called sakemirai, a sake rice created by blending tatsu no otoshiko rice with ushuhomare. A cross-breed originally discovered by none other than Takagi Shuzo, makers of Juyondai in Yamagata. Inoue-san decided to try and use the rice at the urging of his friend Takagi-san and results are inspired! Of course being smack bang in the middle of hiyaoroshi season it was a given that their autumn release would get a showing. 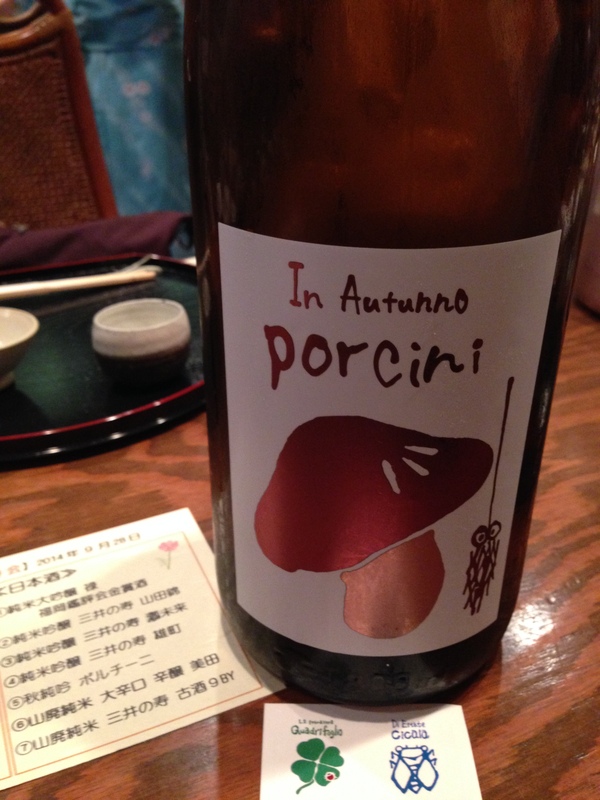 Miinokotobuki’s Porcini Hiyaoroshi has been a highlight in previous years and this year is no different. Fresh, savoury with a satisfying umam-laden hit and some citrus hints. However a revisit after it had been warmed to around 40 degrees was a revelation. The umami rose even further and the aromas morphed into chestnut wafts. Yet again, the widely followed idea that hiyaoroshi is a style of sake to be drunk chilled shot down in flames. 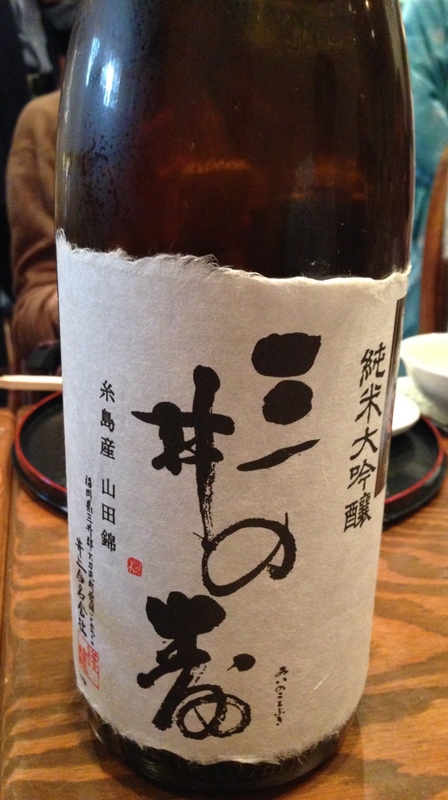 Posted on October 9, 2014, in Uncategorized and tagged Fukuoka sake, Miinokotobuki, sake, 日本酒, 樂縁, 三井の寿. Bookmark the permalink. Leave a comment.